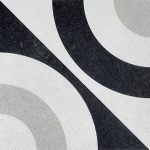 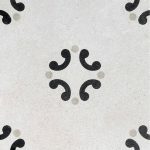 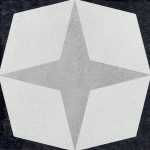 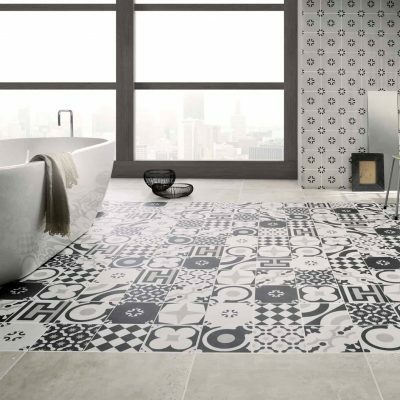 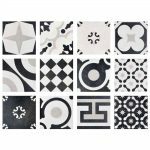 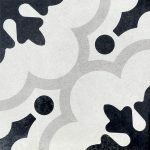 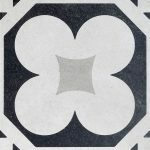 Cementine Black & White: 12 decorative patterns designed by Silvia Stanzani and brought to life as 20×20 porcelain stoneware to cover floors or walls, in line with the very latest trends in the world of fashion and interior design. 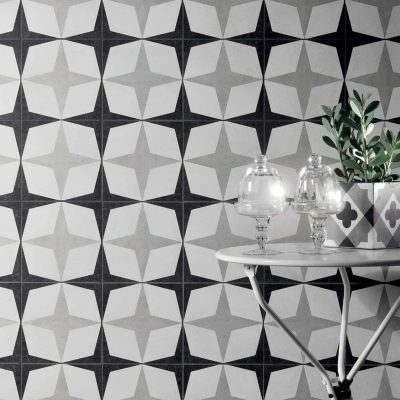 A journey through the tradition of decoration, inspired by the traditional cement tiles, using sophisticated, contemporary graphics. 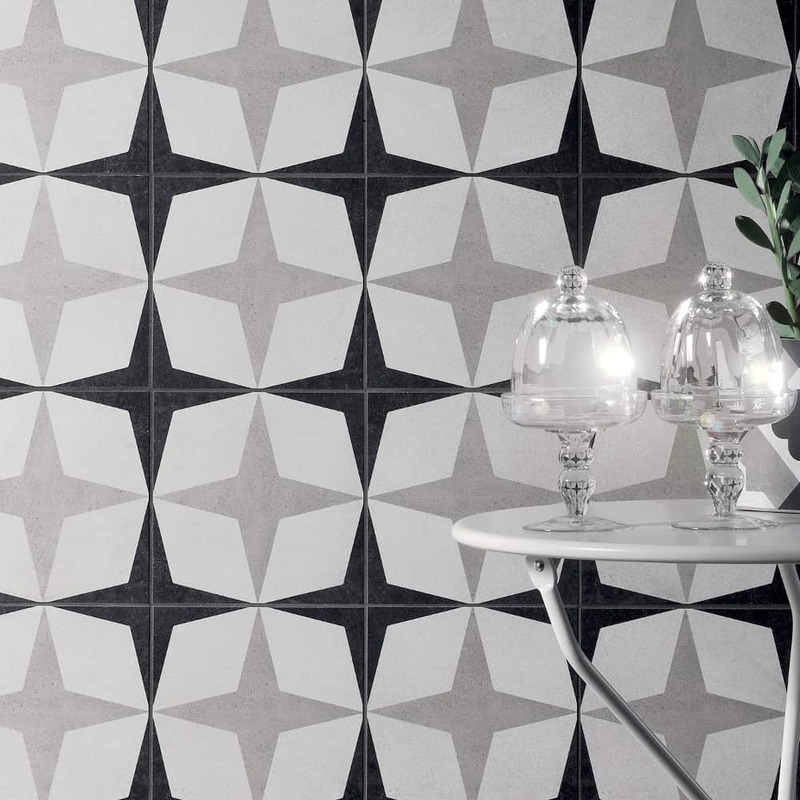 The Cementine B/W collection turns classic designs into contemporary patterns, modular solutions where colour is the key to reinventing settings with a new touch of “decor”. 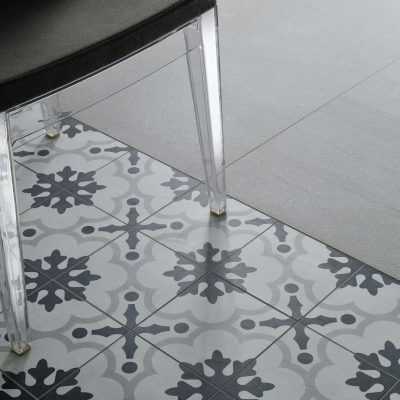 Please contact our sales team or visit the showroom for further information on the Cementine B/W collection.